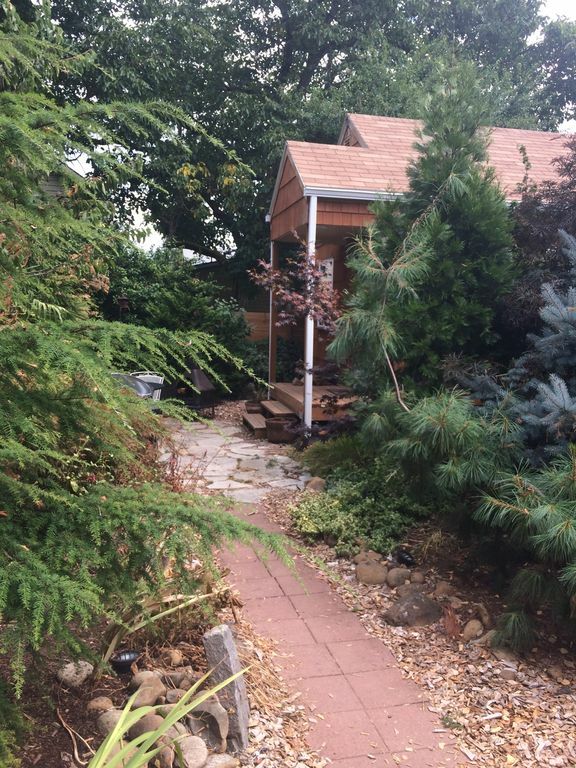 New 350 sqft Cedar Cottage in my garden oasis. Open plan Studio. Built with great amenities, granite kitchen, large bathroom with spa quality shampoo, conditioner and body wash, washer and dryer, high speed wi-fi, TV with 40" flat screen. Netflix and cable TV. New Tuft & Neddle queen mattress. The Alberta Arts District and airport are close-by. A short walk to Alberta St. with 20 blocks of great food, galleries and fun shops. It is a studio set up with a full kitchen. I live on the property and can be very helpful if needed. Centrally located. 10 minutes from the airport and 10 minutes from downtown. A 10 minute walk to 20 blocks of great food, music, shops and some breweries. Private Studio cottage in a beautiful garden setting. Very private, full kitchen, washer and dryer. large walk in shower. My wife and I needed to be in Portland for a few days in March 2019. We found this place. Our stay was excellent. The place is small, but well designed - lots of subtle perks. Ideal for a couple. Paul lives on the property and is available. One evening (after dark) I could not get the BBQ started - I thought the tank was empty. I called and he responded in less that 5 minutes! Paul offered to go out that evening and fill the tank...instead, he was able to get it started. This was one of our best VRBO experiences... one Warning: You need to enjoy friendly pets if you are going to stay at this place. The house was super cute! Everything was very comfortable! The house was clean, nestled in the backyard and really lovely! We found Paul's cottage very well appointed and as comfortable as any highly rated hotel. I was really pleased to find a ceiling fan over the bed like I have at home and usually miss when we travel. The bed was comfortable, everything was spotless, and the kitchen was well equipped. The outdoor patio was very pleasant. We were mostly only there at night, and it was quiet and private. If you're a walker, it was 20-minutes from shops and restaurants. We would stay again and would recommend it to friends. From booking until we left this was an easy and comfortable place. The place was clean, quiet and suited our purposes perfectly. The owner also reached out to us mid trip to also tell us about the neighborhood street fair too! My husband and I really enjoyed our stay. Very private and comfortable - everything we needed! The host was very friendly and a great host! We plan on returning for our future visits to the Portland area! Comfortable and clean.very peaceful setting. I enjoyed my stay very much, and would recommend .